Chinese state media has warned that the US would have to launch a "large-scale war" to prevent Beijing from accessing islands it has built in the South China Sea. It comes after secretary of state nominee Rex Tillerson said such access should be restricted. 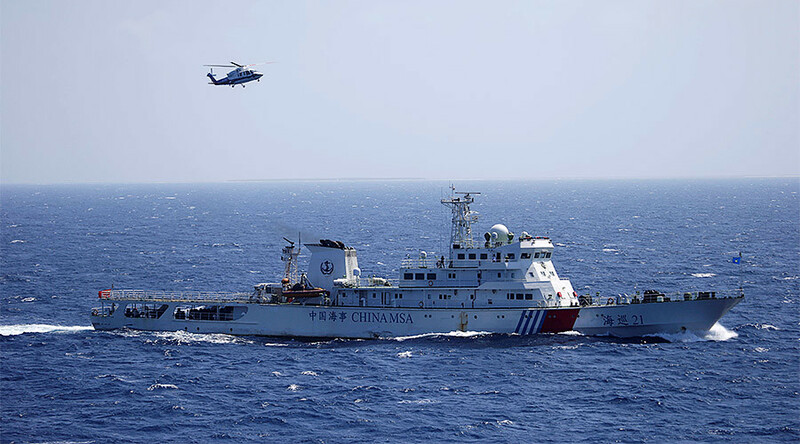 "Unless Washington plans to wage a large-scale war in the South China Sea, any other approaches to prevent Chinese access to the islands will be foolish," the state-sanctioned Global Times newspaper wrote on its English-language website. It went on to stress that the US "has no absolute power to dominate the South China Sea," warning that Tillerson "had better bone up on nuclear power strategies if he wants to force a big nuclear power to withdraw from its own territories." The article also said that China has so far "shown restraint" when Trump's cabinet picks have expressed "radical views," as the president-elect has not yet been sworn in. However, it stressed that the US "should not be misled into thinking that Beijing will be fearful of their threats." "If Trump's diplomatic team shapes future Sino-US ties as it is doing now, the two sides had better prepare for a military clash," the article reads, adding that Tillerson's statements are "far from professional." The former ExxonMobil CEO’s comments were made during his Senate confirmation hearing on Wednesday, in which he said that China's activities in the disputed South China Sea were "extremely worrisome." "Building islands and then putting military assets on those islands is akin to Russia's taking of Crimea. It's taking of territory that others lay claim to," Tillerson said, referring to the reunification of Crimea and Russia, which took place following a referendum in 2014. "We're going to have to send China a clear signal that first, the island-building stops, and second, your access to those islands also not going to be allowed." Tillerson went on to accuse President Obama of being complacent during his tenure, stating that "failure of a response has allowed them (China) to just keep pushing the envelope on this." China lays claim to much of the South China Sea, despite competing claims from Vietnam, the Philippines, Taiwan, Malaysia, and Brunei. In square opposition to its neighbors' claims, China has added to regional tensions by building artificial islands in the sea, complete with military installations. It's far from the first time that Beijing has clashed with the US government when it comes to the disputed waters. 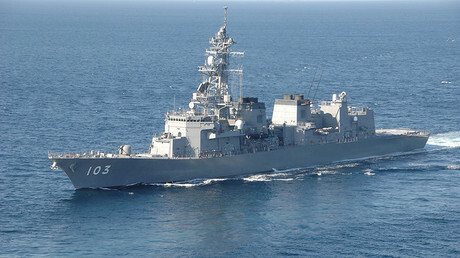 In October, a US warship sailed near islands claimed by Beijing, drawing a warning from Chinese warships to leave the area. 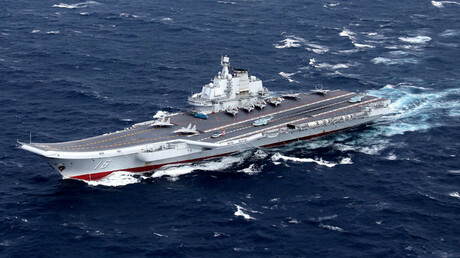 The Chinese Defense Ministry later called the move "illegal" and "provocative." The article also said it is hoped that Tillerson will seek a productive partnership with China, and that his harsh words were just in order to appease the Senate Foreign Relations Committee. Meanwhile, the Philippines unsurprisingly took a much different stance from China when it came to Tillerson's comments. "They said they would prevent China from doing or undertaking these kind of activity. If it wants to do that, they have the force to do so, let them do it," Foreign Secretary Perfecto Yasay said during a television interview, as quoted by Reuters. Last year, judges at the arbitration tribunal in The Hague ruled in favor of Manila, stating that China has caused irreparable harm to the ecosystem of the South China Sea's Spratly Islands and breached the Philippines' sovereign rights. China quickly declared The Hague’s decision “null and void,” and soon started building an artificial island on Scarborough Shoal, just northeast of the Spratlys.